One day after the Nationals lost to the Mets 1-5, they blew a six-run lead in Miami for their second consecutive loss. While the loss isn’t how the Nats hoped to kick off their three-game series against the division rival Marlins, it didn’t have too much of an impact in the grand scheme of things. Washington still controls the NL East by an impressive 9.5 games, the largest lead in the National League. The Nats (42-28) got off to a quick start with a two-run shot by Bryce Harper in the first inning, followed by a solo home-run by Anthony Rendon in the second. Washington added two runs in the top of the third to quickly extend their lead to 6-0. That lead evaporated in the bottom of the inning, when Tanner Roark gave up six runs in the shortest start of his career. 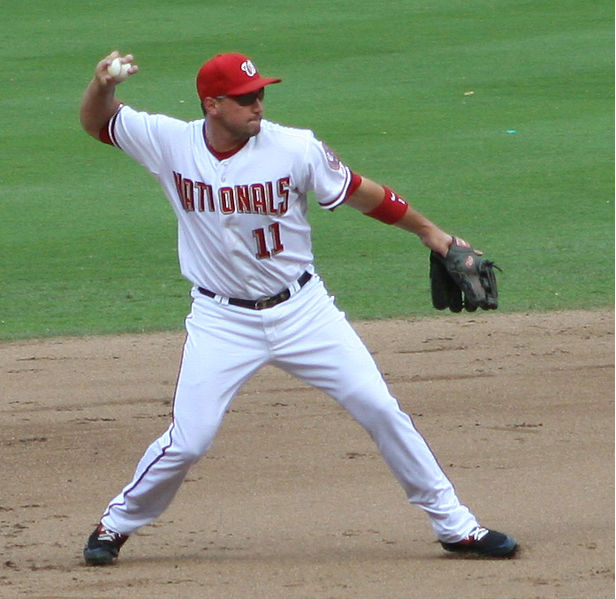 Washington went ahead in the fifth, when Ryan Zimmerman scored on a triple by Stephen Drew. But Miami responded two innings later when star slugger Giancarlo Stanton hit a game-tying home-run off Jacob Turner. After that, the Nats were unable to bounce from losing the lead for a second time. With the game tied in the bottom of the ninth, the the Marlins (31-37) capitalized on the Nationals’ mistakes. With the bases loaded, Marcell Ozuna hit an RBI single to break the tie and win the game 8-7. It was a disappointing end to a game that had started with so much promise and excitement for Washington. The blown lead also raised questions about the health of Roark’s arm. The 30-year-old’s ERA has steadily climbed over the past few months. After starting the season 3-0 he has allowed 13 runs in his past two starts and 22 in his four to fall to 6-4. After the loss, Roark claimed his performance was simply due to bad pitching, not his health. The Nats’ recent losses haven’t done much to tarnish their strong first-half of the season. They are playing well over .500 and their nearly 10-game division lead is second only to Houston’s 12-game lead in the AL West. Washington has two more chances to win in Miami before they head home to face the Reds (30-39) this weekend.